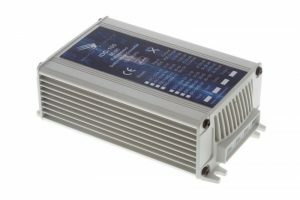 The IDC-200 series is a complete line of highly efficient 200 Watt isolated DC-DC converters suitable for applications requiring galvanic isolation between the input and the output. The IDC-200B-24 isolated DC-DC converter provides a highly regulated output DC voltage of 24.5 Volts for an input DC voltage range of 20-35 Volts and rated output current of 8 Amps (at 35 Volts input). 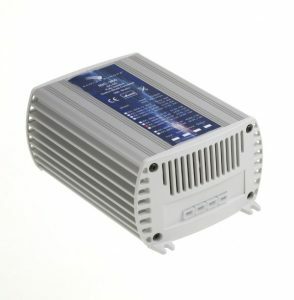 Features of this isolated DC-DC converter include compact housing, foldback current limiting and protection against short circuit, overheating, overvoltage and reverse polarity connections. The unit comes with 6,3 mm push on flat blade “quick disconnect” connectors. 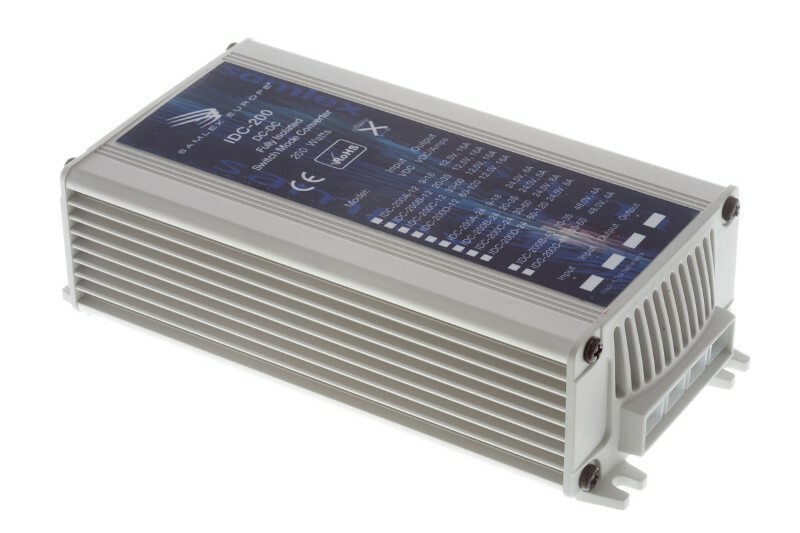 The IDC-200B-24 isolated DC-DC converter is EMI/EMC compliant and conforms to the European standards EN50081-1 (for EMI), EN50082-1 (for EMC) and the European Automotive Directive 95/54/CE.